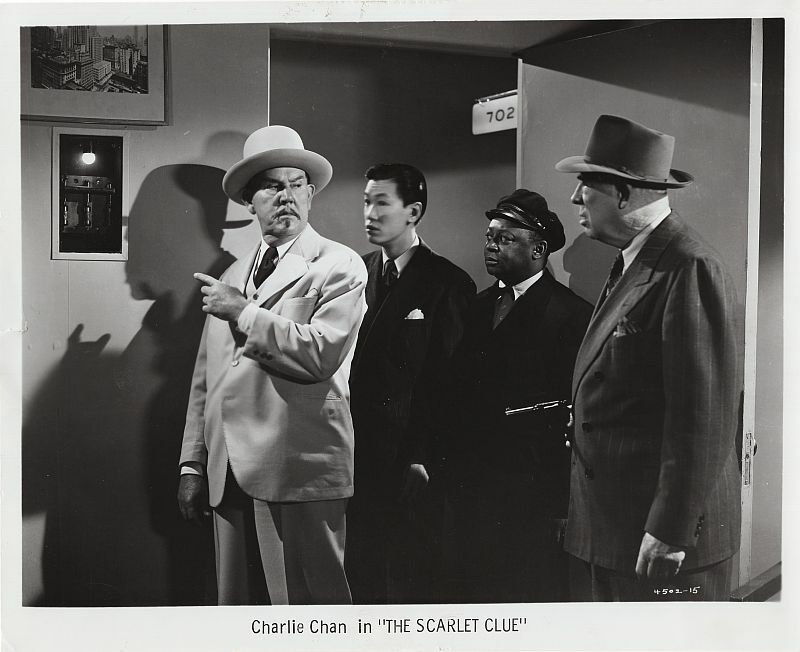 Charlie Chan shares an audio clue that points to the murder method used by the killer. With Capt. 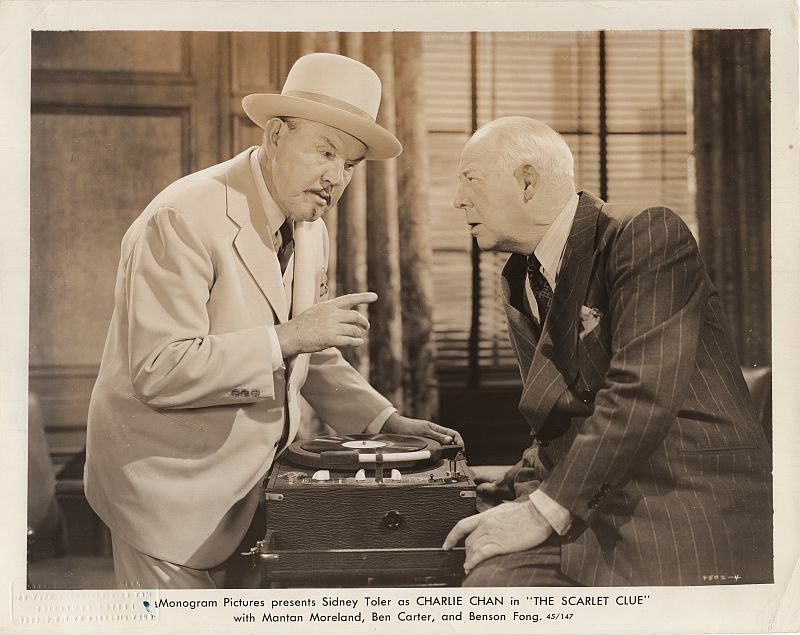 Flynn and Detective Hodge, Charlie Chan searches a docked boat for the mysterious Mr. Rausch. 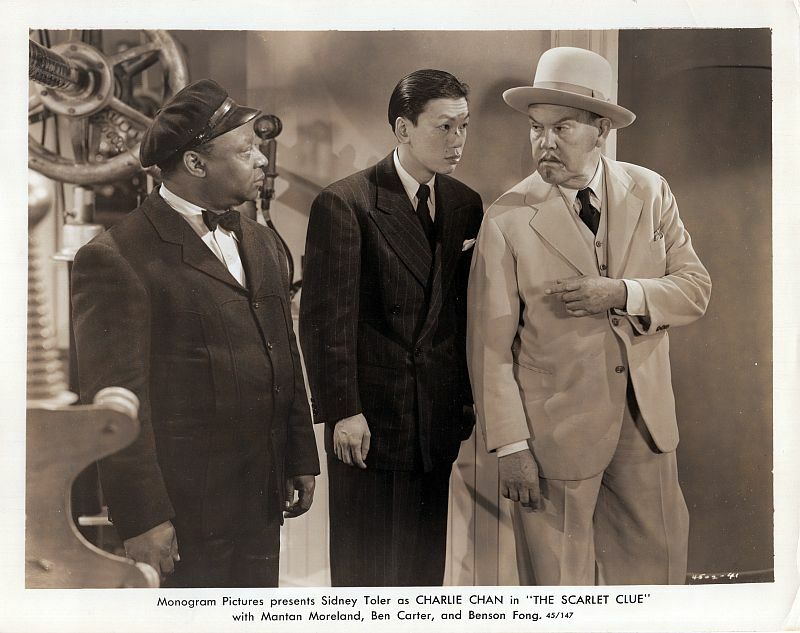 Charlie Chan reveals a secret elevator control. 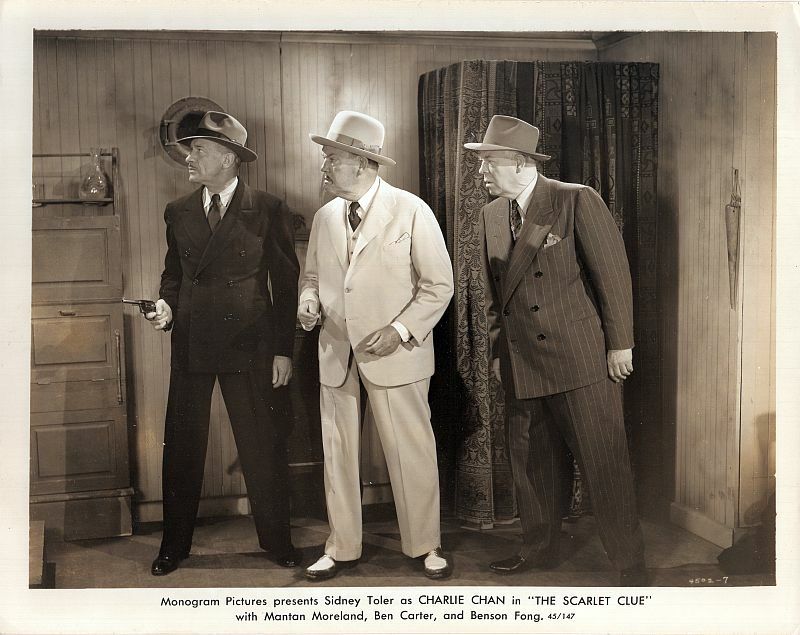 listen at a door as they are watched by an curious party. 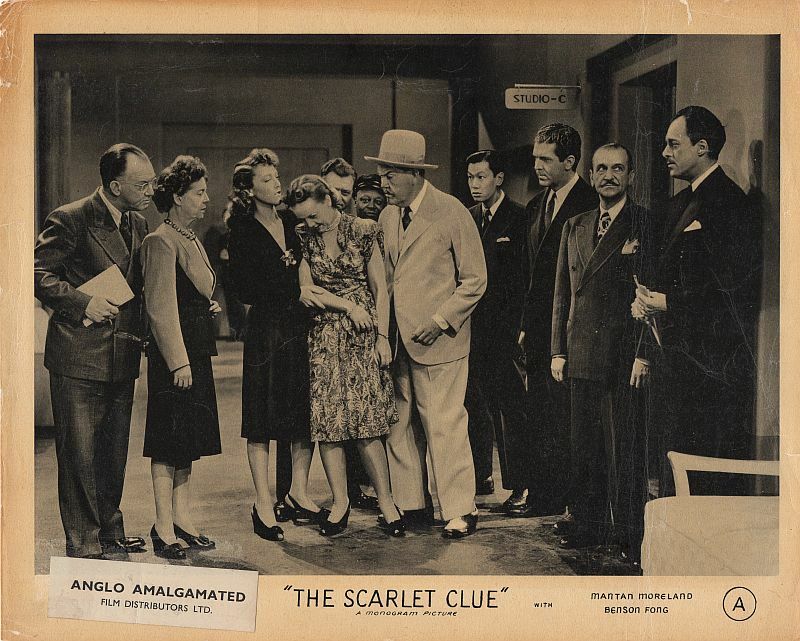 Brown, investigates the weather chamber in Hamilton's laboratory. 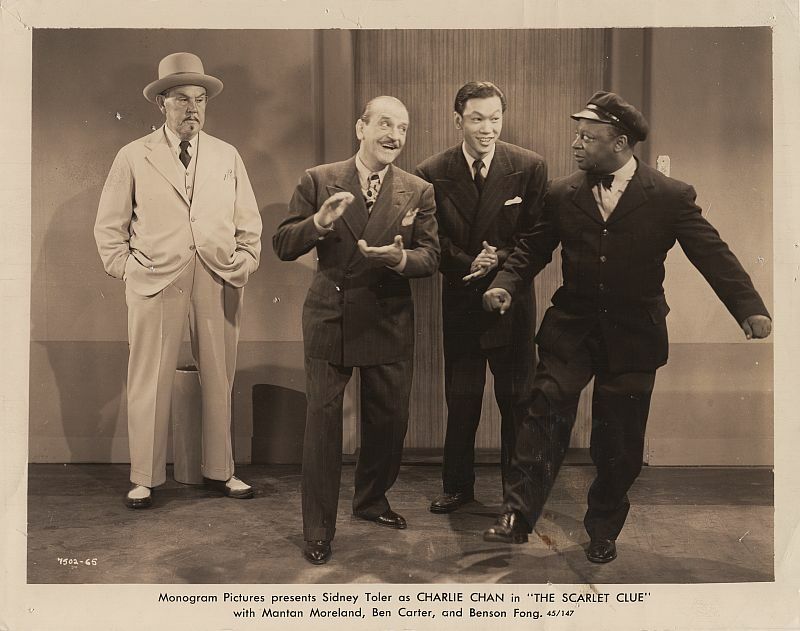 Charlie Chan looks on as Willie Rand, Number Three Son, Tommy, and Birmingham Brown carry on. 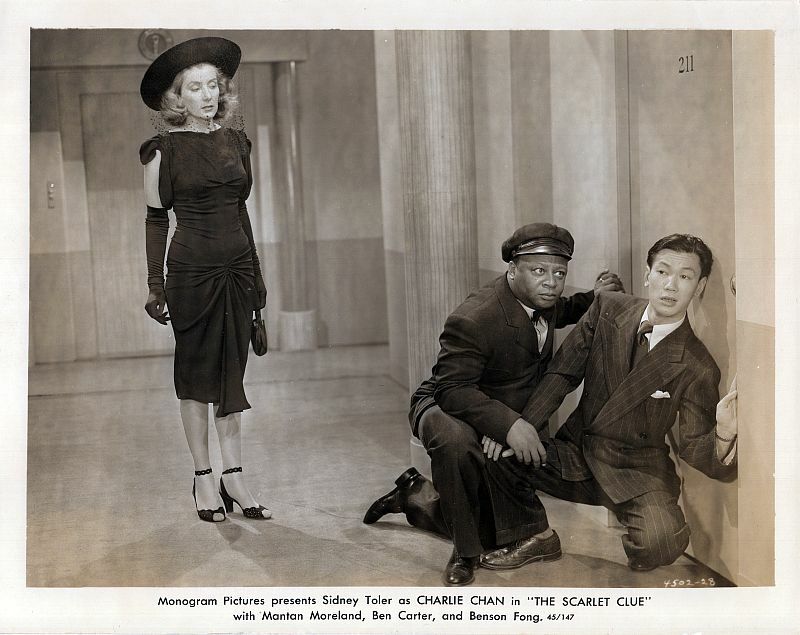 As everyone looks on, radio actress Gloria Bayne suddenly passes out. 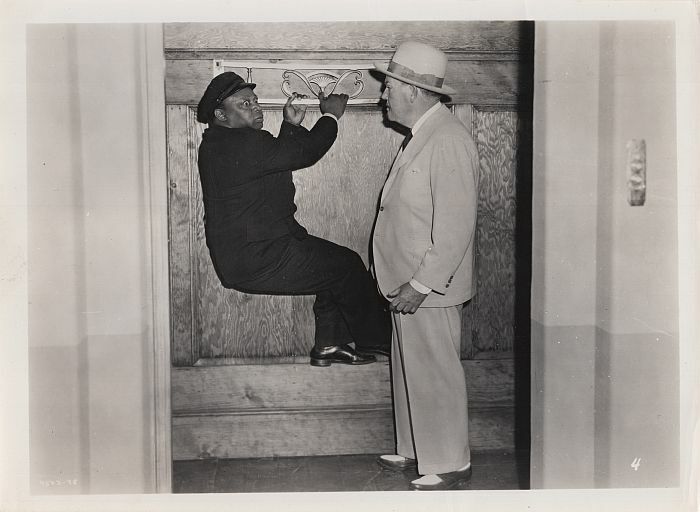 Charlie Chan asks why Birmingham Brown is hanging suspended in the elevator! 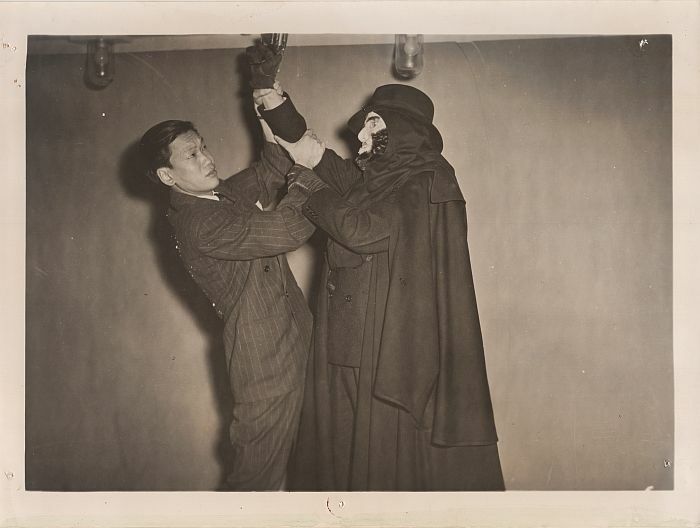 Inside the weather simulator, Tommy Chan struggles with the disguised killer!